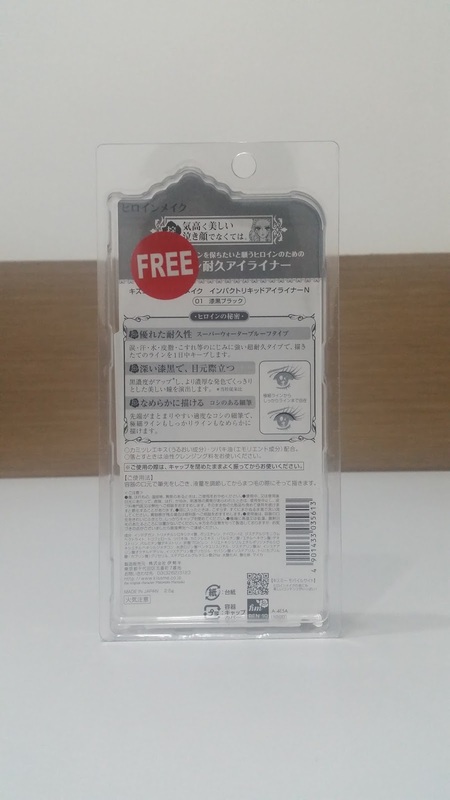 Cutesy packaging as expected of any Japanese makeup product. Although everything is written in Japanese, don't fret because the ones you'll see on display counters have labels with English translation. This is probably the 3rd time I was given an eyeliner but I never dared to use one regularly until now. I got intimidated with the previous ones I own because I honestly didn't know how to work with eyeliners especially liquid and gel types so I ended up drying them out in storage. Good thing Heroine Make's is the liquid type which I'm guessing is a good way to start for a newbie like me. It's housed in a slim container with a screw-on cap and comes with a fine elastic brush which you can easily manipulate to create your desired look. 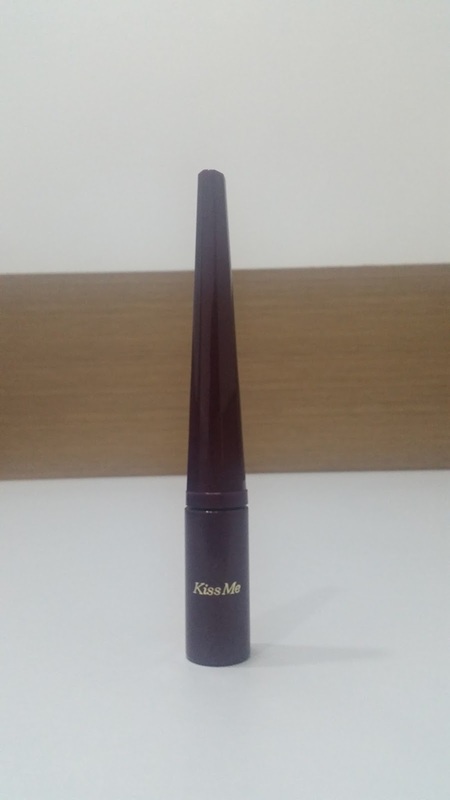 Heroine Make says to shake the bottle well with the cap on before use and remove excess liquid on the brush before application. I love how the brush wand bends with ease and how one swipe can already give you a rich black color. Above image shows you how a single swipe looks (middle) and how a 2nd (left) and 3rd (right) stroke can dramatically thicken the line. Make sure to stay as close as possible to your lash line and work your way up if you want a thicker and more dramatic result. I'm so impressed with how the formula dries on fast and doesn't bleed or smudge once dry. It practically stays on the entire day and doesn't budge until you use a good eye makeup remover. 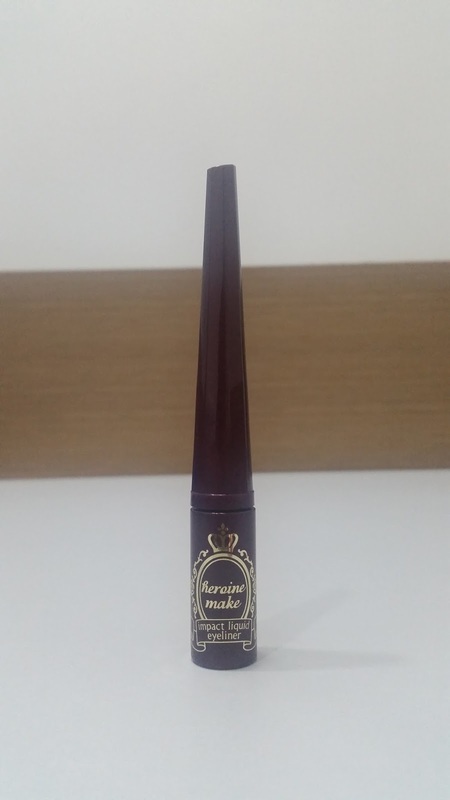 Overall, I'm so impressed with the Kiss Me Heroine Make Impact Liquid Eyeliner that I've been using it regularly to complete my everyday look. 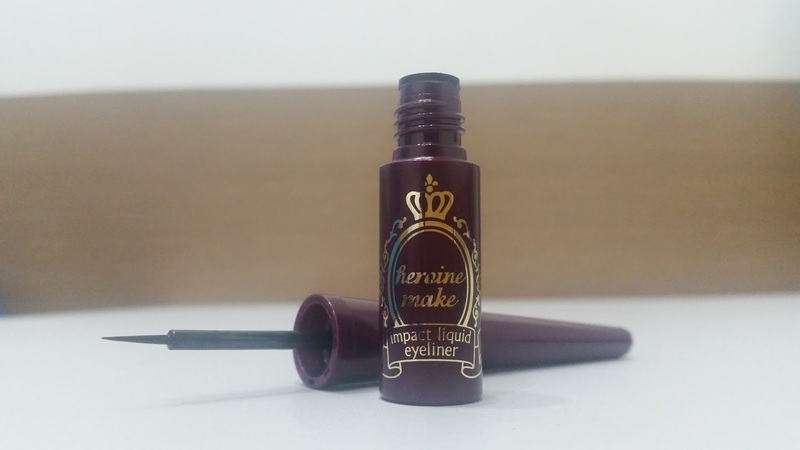 I do recommend it to those of you who want a liquid eyeliner of good quality. 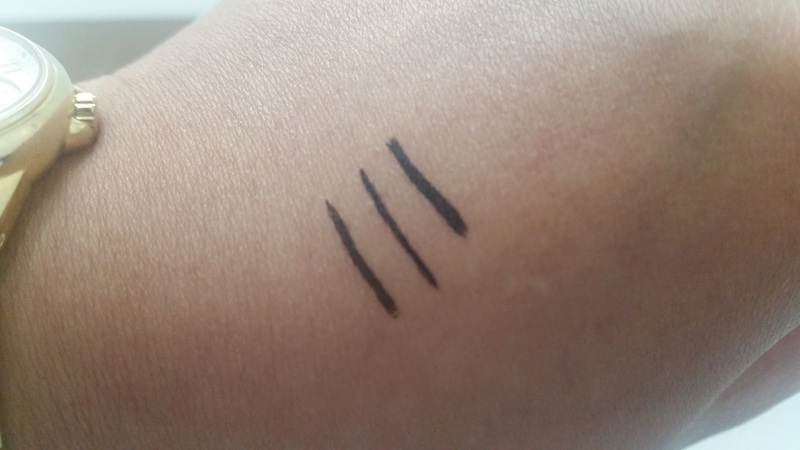 Although it may not be the most affordable eyeliner out there, I think it's still a great product to try. Get this and other Heroine Make products in selected branches of Watsons and beauty sections of SM Department Stores nationwide. Thank you for visiting and have an awesome weekend! 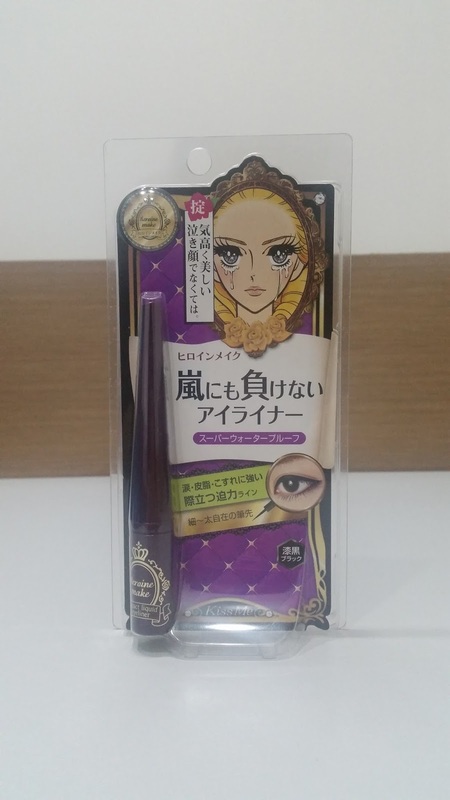 I haven't tried any Heroine Makeup Products yet but I may try this as soon as I used up my current eyeliner. This one looks promising, I definitely need that long lasting eye liner.